Teleshuttle works as an innovation studio – researching / developing / commercializing its innovations in collaboration with strategic partners. Teleshuttle's current work is primarily pro-bono, with focus on FairPay – a new relationship-centered, value-based revenue strategy. Another active pro-bono project relates to using technology to augment human wisdom (not replace it). ● The Augmented Wisdom of Crowds: Rate the Raters and Weight the Ratings -- the need and a broad architecture. ● Filtering for Serendipity -- Extremism, "Filter Bubbles" and "Surprising Validators" -- specific aspects related to social media. FairPay is a simple, but fundamental, rethinking of how businesses and consumers conduct business with one another. 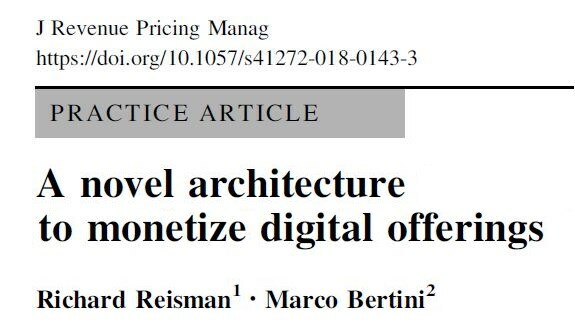 Set prices made sense for 20th Century mass retail, but not for infinitely reproducible digital offerings in a personalized, networked world. FairPay can be applied to digital content (journalism, music, TV/video, e-books), software and/or services (as well as physical products) in a wide variety of ways. FairPay re-envisions elements of freemium, paywalls, dynamic pricing, value/performance-based pricing, pay what you want, subscriptions, and loyalty programs, to provide a strong and sustainable customer revenue stream. FairPay solves the nasty problems of pricing digital products and other experience goods -- and does that in a way that assures customer buy-in. FairPay can delight consumers -- and sellers. It makes efficient value-based pricing work for consumers -- and for the businesses that serve them. 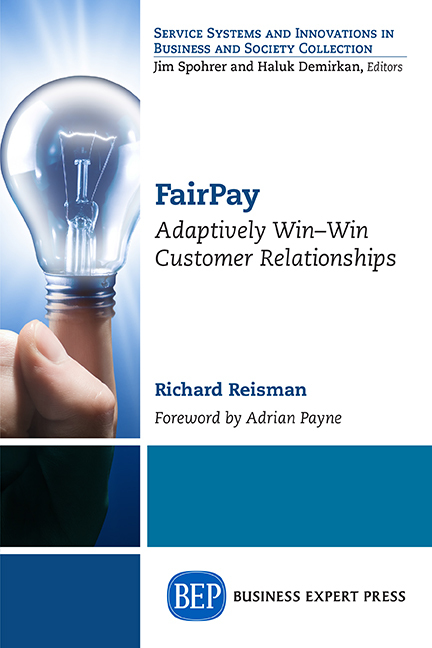 Reisman is working on a pro-bono basis with business and academic partners on research, trials, and applications of FairPay, and offers free consultation. Concept overview: The Augmented Wisdom of Crowds: Rate the Raters and Weight the Ratings. Specific aspects related to social media: Filtering for Serendipity -- Extremism, "Filter Bubbles" and "Surprising Validators"
 empower users with cross-screen integration of phones/tablets and TVs. CoTV offers rich multi-machine UI features such as screen-shifting (much like Apple AirPlay and Google Chromecast). CoTV exploits the fact that many users now watch TV on a large screen, while multitasking on a "companion" device (tablet, phone, or laptop). CoTV patents also address broader and more advanced services that are emerging, including multi-machine UIs for integrating phones with smart watches and with autos. These patents were licensed in 2015 through RPX Corporation to many major companies in the TV/video and smartphone space. – improve search by applying user feedback and context. Apply feedback on which items are selected by others and what task/domain the user seeks relevance to ("apple" for trees or computers or Beatles music). Patent relate to search and the Social Web or "Social Search" and to search and the "Semantic Web"
This portfolio was sold in 2009 to RPX Corporation, the first defensive patent aggregator. – personalize and automate information distribution to smart devices. This technology relates to many Internet push applications, such as app stores, content channels, offline browsing, RSS, electronic software distribution, and webcasting, as well as aspects of "smart-client" Web services, mashups, the mobile Web, and e-commerce. 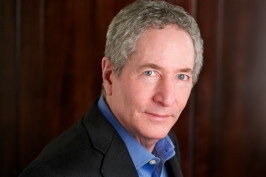 This technology led to the 1994 founding of Teleshuttle as a software/services company. The portfolio was licensed to BTG for commercialization, and BTG's licensing efforts led to patent infringement suits against Microsoft and Apple, ending in 2006, when BTG announced the sale of these patent rights for $35 million, plus a share of future profits. These patents were then controlled by Intellectual Ventures and licensed to many companies, including most major smartphone and PC vendors. Other developments in such areas as "Big Data"/"The Internet of Things" and digital media management are listed on the Patents page.